The more you recycle the less you'll pay! 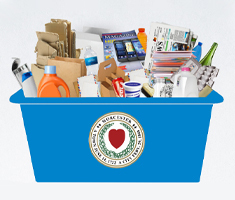 A recycling bin can be obtained at DPW&P Customer Service. 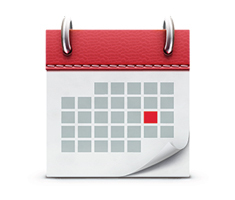 Set recyclables and trash at the curb between 6 a.m. and 7:30 a.m. on your scheduled trash/recycling day. 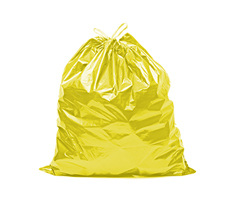 Residents of Worcester can dispose of household waste via our pay as you throw Yellow Trash Bag program. 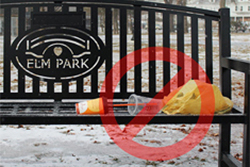 The Clean City Program will expand the City's efforts to combat litter, illegal dumping and address the overall cleanliness of our growing city. 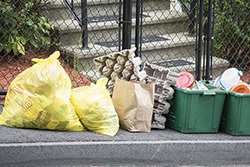 The program includes components such as a Clean Team, Curbside Textile Collection Program, Clear Bag Recycling Program, drawstrings for yellow bags and more! Worcester has the largest municipal composting program in Massachusetts from its leaf and yard waste collection. Compost is available to city residents free of charge. Compost bins for home use are also available to residents. 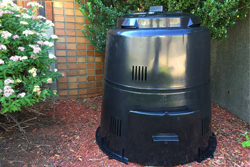 The "Earth Machine" composter costs $45.00. Keep Worcester Clean (KWC) is a coordinated city-wide effort by multiple partners who work year-round cleaning litter and other debris such as graffiti, abandoned vehicles, and more, from the streets and sidewalks. Learn more about how you can help! 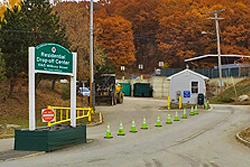 The drop-off center allows residents to dispose of bulk waste items in a timely manner and at a low cost. There is also a yard waste drop-off area, a permanent household hazardous waste collection center and a compost/winter sand pickup area.